'Charlie Hebdo,' A Magazine Of Satire, Mocks Politics, Religion : The Two-Way The publication that was the target of a deadly attack is part of a long tradition of French satire dating to the days before the French Revolution. Stephane Charbonnier, the editor of Charlie Hebdo, poses with his magazine on Sept. 19, 2012. The magazine, which was attacked today, is part of a long tradition of French satire. It most recently came to the world's attention when it published cartoons of Islam's Prophet Muhammad soon after the deadly 2012 attack on the U.S. consulate in Benghazi that killed Chris Stevens, the U.S. ambassador to Libya. Initially, it was thought that an anti-Islam film had fanned the violence. The magazine, in its cartoons, referred to that film. At the time, editor Stephane Charbonnier said the cartoons would "shock those who want to be shocked." Many Muslims consider the depiction of their prophet to be blasphemous. A year earlier, Charlie Hebdo's offices were firebombed after it published an issue that invited the Prophet Muhammad to be guest editor; the issue included an article about what a soft version of Sharia might look like. The magazine was renamed Charia Hebdo for the issue, and its cover included an image of the prophet with the line, "A thousand lashes if you don't die laughing." The magazine was also part of the controversy over the publication in 2005 by the Danish newspaper Jyllands-Posten of cartoons depicting Islam's prophet. The newspaper said the decision to publish the 12 editorial cartoons would contribute to the debate over Islam and free speech. The move resulted in violent protests worldwide and threats against Jyllands-Posten. In solidarity, Charlie Hebdo reprinted the 12 cartoons in 2006. Its headline for the feature was "Muhammad Overwhelmed By Fundamentalists." Jacques Chirac, then-president of France, condemned what he called the magazine's "overt provocation." 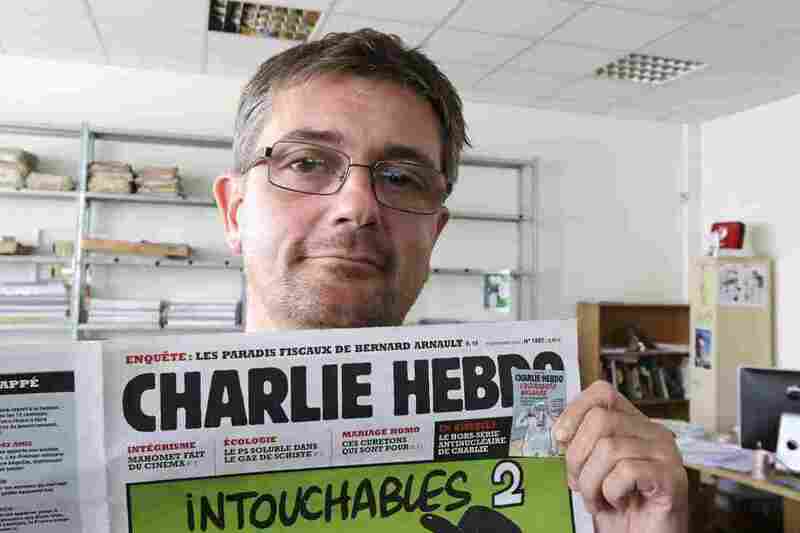 The magazine and then-editor Philippe Val were accused of insulting Muslims, but a French court ultimately ruled that the cartoons were covered by France's laws on freedom of expression. The BBC offers a rundown of what else Charlie Hebdo printed: "Police would be shown holding the dripping heads of immigrants; there would be masturbating nuns; popes wearing condoms — anything to make a point." The folks over at the Daily Beast have put together a slideshow of some of the magazine's most controversial covers. You can find that here. The magazine has its roots in the 1960s, when many of its journalists worked at another satirical magazine, called Hara-Kiri. That magazine was banned after it published a mocking headline in 1970 following two events that dominated the news at the time: the death of French President Charles de Gaulle and a fire at a discotheque that killed more than 100 people. In response, its staff started Charlie Hebdo, the "Charlie" an apparent reference to the character from the Peanuts comic strip, which the magazine printed in its pages. It's important to note here that the magazine's influence has gone far beyond its limited circulation. In fact, it has been in financial trouble. Its website noted today that it needed to find ways to continue to exist. Financial worries aren't new. It previously closed in 1981 because it ran out of money. The magazine was revived a decade later and continued publication — with its mixture of polemic wit and satire, offensive or hilarious depending on your point of view — until the attack on its offices today.